On Sunday March 23rd, 2014 eight young people (ages 12-18) and three adults stood up individually, said their names clearly and responded to the Question: “What do you seek from the Church?” with the resounding answer “Confirmation!”They were met with a round of loud applause and affirmation. As some were not present this question will be asked again next Sunday and we expect several more responses. 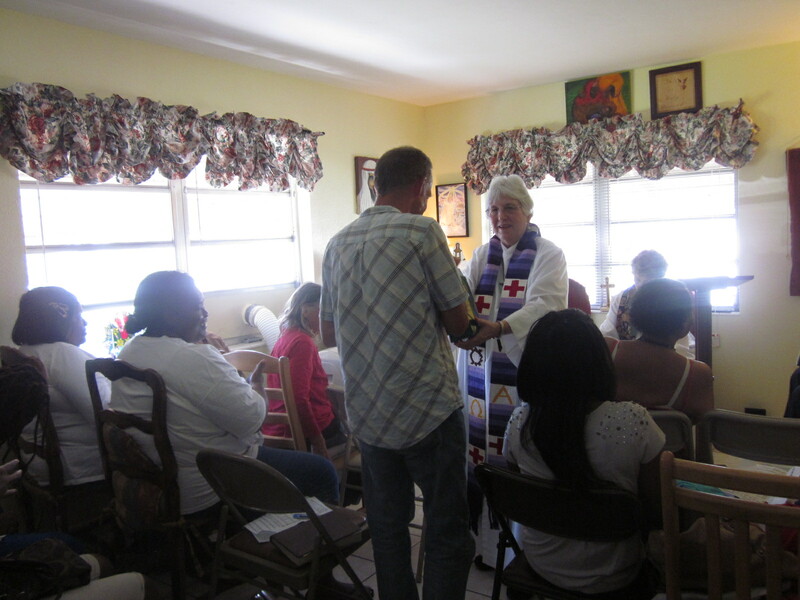 How exciting this is as the people prepare for Confirmation which will be on April 26th at 4PM in our Bishop’s home church in Sarasota Florida.In a very real way the whole church is involved in the process of mentoring and preparation. 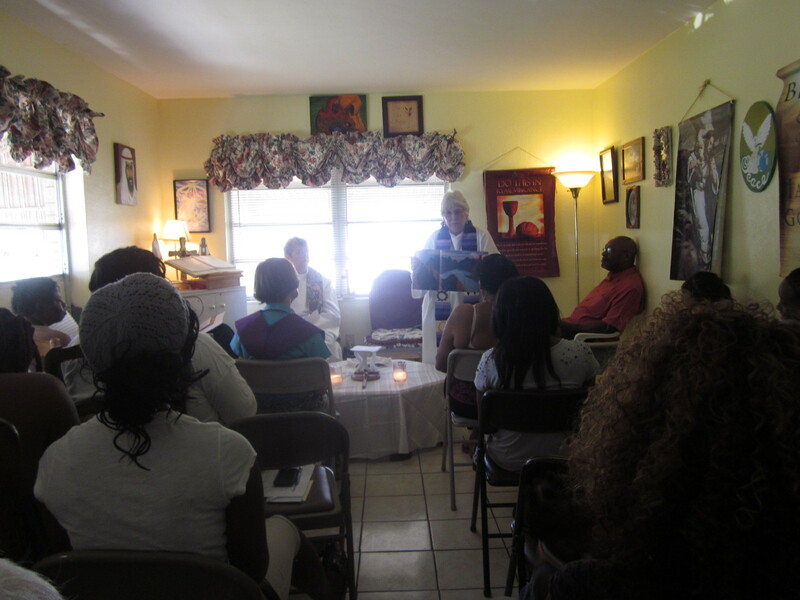 In a class afterward when youth and adults were joined for a period of time Linda Maybin, mother of five of the young people said” I just decided that I had to lead the way and take my faith the next step. I look forward to the Holy Spirit filling me with new gifts so I can serve God’s people”. In the Junior and Senior classes the youth focused on reconciliation and “bringing clean hearts” to God and naming for themselves what things they were truly sorry for. They shared these things with me as priest and with one another by writing and drawing themselves into a poster about the Seven Sacraments. 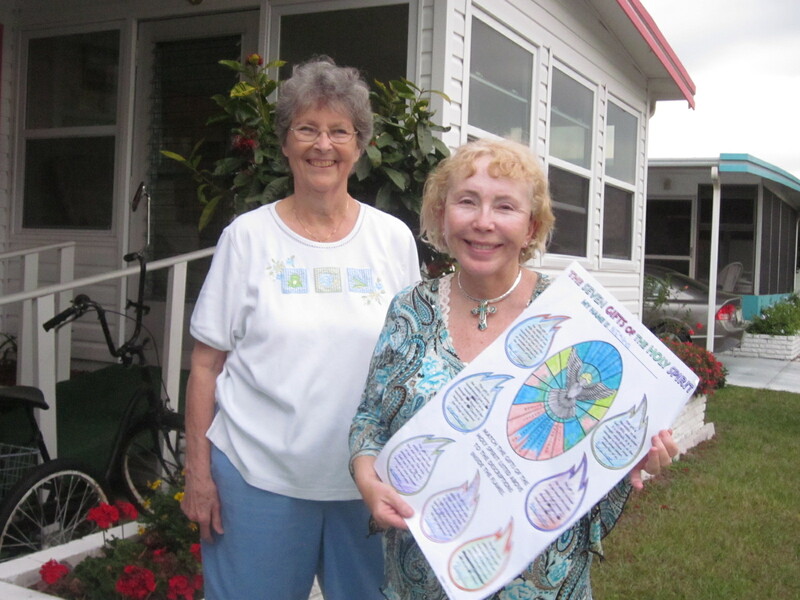 They also thought about ways they may offer their gifts to the community. As our community is focused on helping the homeless and hungry they could find ways to fit themselves into our service. They also began work in little Confirmation Journals where answers are not right or wrong and their thoughts and efforts mattered. The Junior Class Works on Their Posters With Their Teacher, Mrs. Pearl Cudjoe. 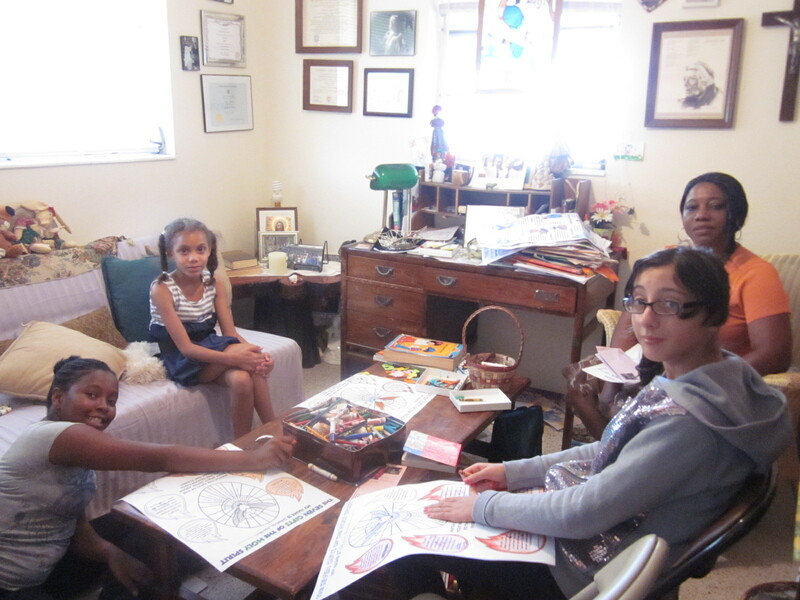 Joelle who is seven(top left) says “I want to follow Jesus and I love God”. 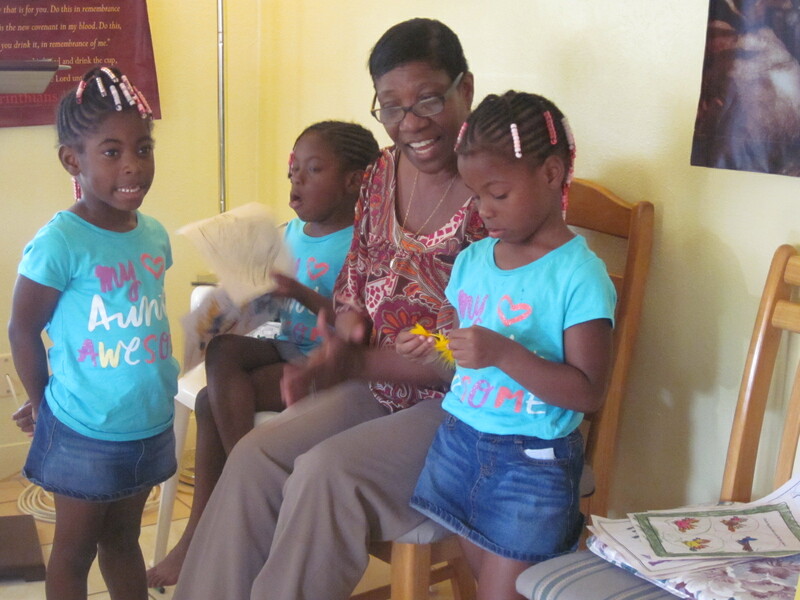 Mrs. Cyrillia Rismay teaches “Oh How I Love Jesus” to our “Little Lambs Class” The Triplets will be baptized on Easter. 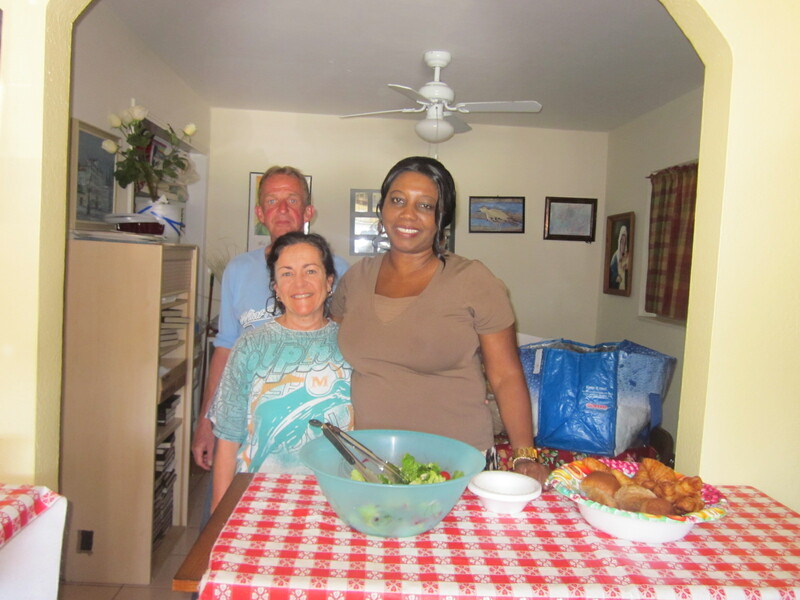 Tom is coming to the table where Lisa Munklewitz and Pearl Cudjoe are serving the Sunday meal. 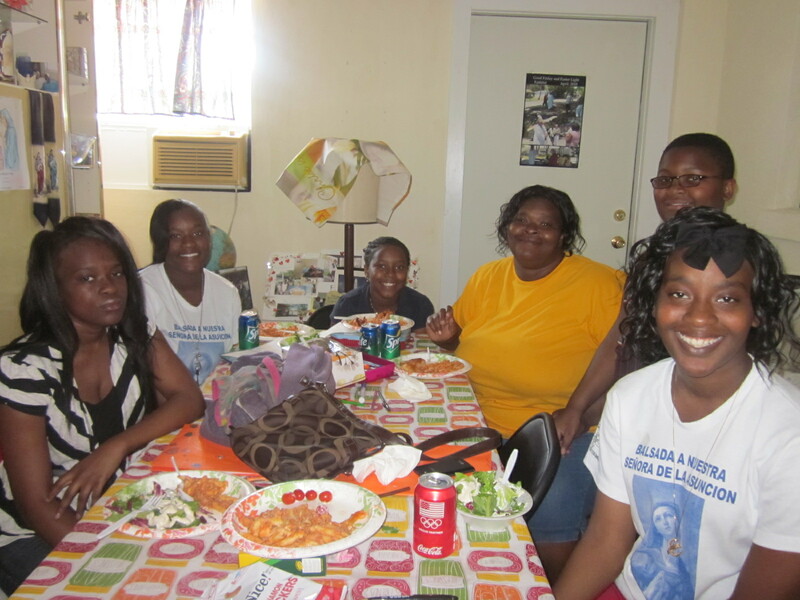 Linda and Natasha,Jolinda, Keeondra, Jakein and Jakeriya talk about what Confirmation means to them. They talk about becoming more mature Christians. They talk about how the oil symbolizes the Holy Spirit “sealing the deal”. They talk about becoming full members of the Church. Pastor Judy Beaumont shares a Confirmation Poster with our Bishop Bridget Mary Meehan who sends messages of affirmation to our young people. Thanks be to God for the enthusiasm of our people as they dedicate themselves to a life of love and service to one another. This is the prayer the congregation prayed for them. It is from the Rite of the Church.